Two athletes of Saint Columbus School of Dayalbagh region of Faridabad has attained positioning for the National level Athletics event. Both the players has showased great sort of performances in the Cluster Level Athletics Meet launched by Physical Education and Sports Department of CBSE. The Cluster Level Athletics Meet was inaugurated in Hisar region of Haryana. 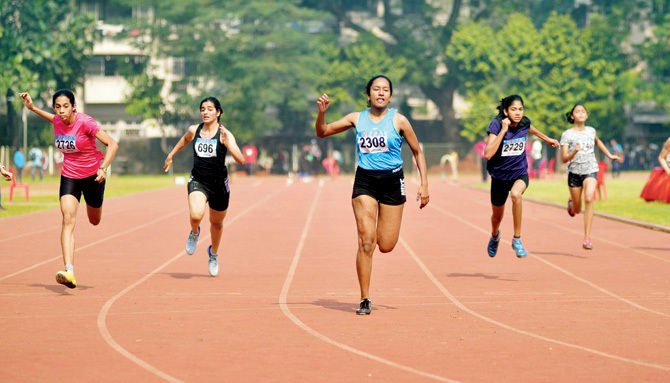 Vineeta of Saint Columbus School grabbed silver medal in 800m and 400m race of the competition. Nikita Chaudhary also emerged as at great sports person with silver medal in 3000m race.